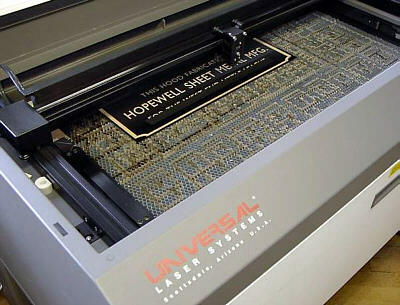 HESCO, Inc. utilizes pantographs, computerized rotary engraving machines, and laser engraving equipment to engrave and profile a variety of parts, from pipe organ stop keys to signage and industrial control panels. 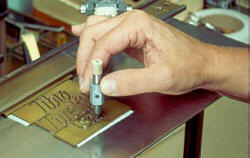 We offer a wide selection of engraving styles and formats using standard engraving fonts as well as "TrueType" fonts. We can also produce engraved logos from electronic graphic files or camera ready black and white artwork. Many of the parts we engrave are molded by our custom injection molding department or fabricated in our shop, but we also modify and engrave customer supplied components and material to produce items that conform to your specifications. Large or small, one part or a thousand - we have the capability to handle a multitude of engraving requirements.